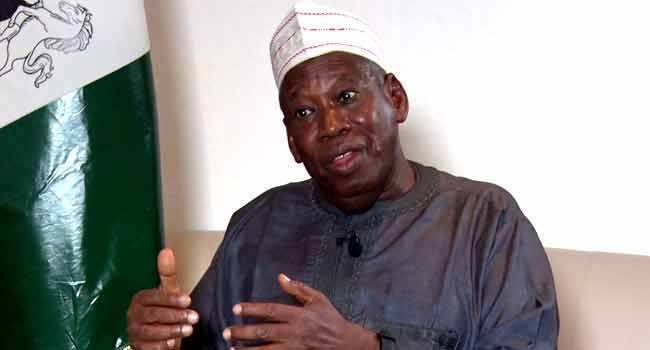 The candidate of the All Progressives Congress (APC) in Kano State, Abdullahi Ganduje, has been re-elected as governor. The Returning Officer, Bello Shehu, announced this on Sunday after Ganduje polled a total of 1,033,695 as against his closest rival, Abba Yusuf of the Peoples Democratic Party (PDP), who polled 1,033,695 after the number of votes from the supplementary election was added to that of the March 6. The results come amidst reports of violence as hoodlums reportedly invaded about six Polling Units in Nasarawa Local Government Area of the state on Saturday. An eyewitness told Channels Television that the area was targeted because of the huge number of voters there. INEC had on March 11, declared the governorship election in the state inconclusive, saying that the margin between the two leading parties (PDP and the APC) was not enough to declare a winner.